Little button – big impact: Hansgrohe has integrated its ingeniously simple button function into the Raindance overhead showers. 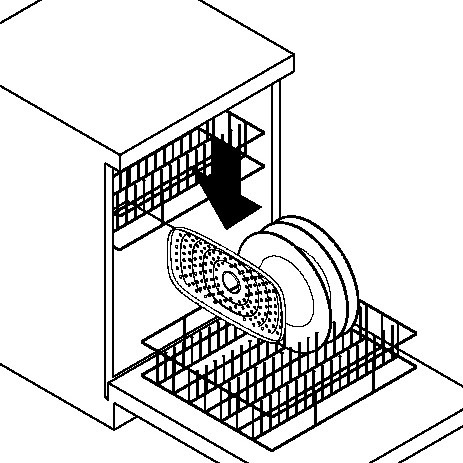 The Select button is located in the centre of the spray disc and is intuitive to operate. All you need to do to change the jet type is to gently push the elegant matt button. Your customers now have a choice of two or three jet types. 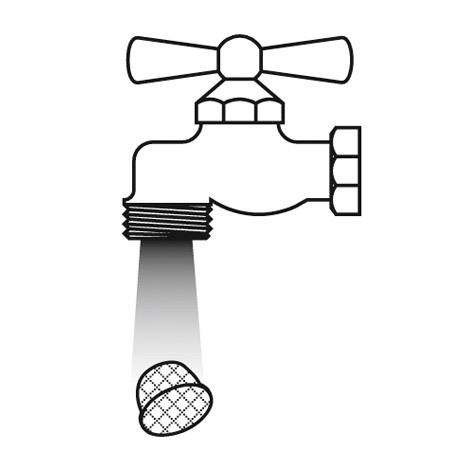 Hansgrohe's innovative overhead shower secret: each jet type follows its own path, with droplets of water rolling out of nozzles that have been specifically designed for each jet. 1. RainAir. A soft curtain of water droplets flows from the larger jets, turning showering into relaxing enjoyment. The outlets are designed to enable the jet to develop to its full volume. 2. Rain. The thinner, and therefore more powerful jets are invigorating and they rinse out shampoo thoroughly. These are shaped by small outlets – for exactly the right jet intensity. 3. 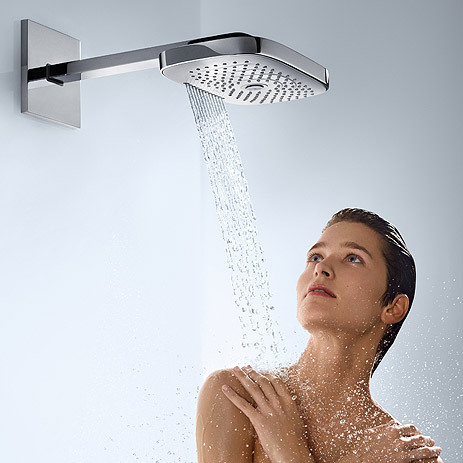 RainStream – a completely new jet type from Hansgrohe. Wonderfully invigorating large pearls of water tumble onto your head and shoulders, washing away all your stresses. Twelve wide nozzles in a row ensure twelve-fold indulgence. The overhead showers are as varied in appearance as the showering experiences themselves: the new Raindance Select E 300 for two or three jet types comes in ultra-modern shape with smooth corners. The new Raindance Select S 300 in the 2-jet version (Rain and RainAir) is classically round in appearance. The overhead showers have been externally refined with an elegant ring of chrome, they have a high, significant rim and an attractive corrugated structure. 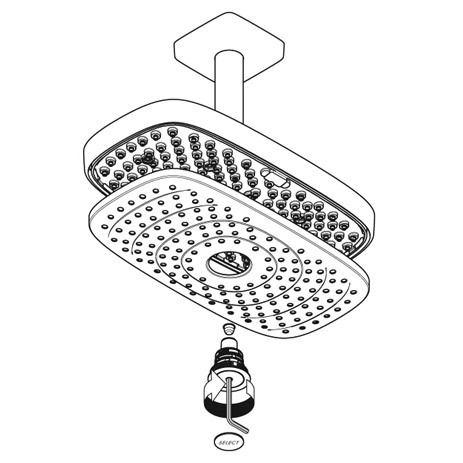 Maintenance of the overhead shower is as convenient as the jet adjustment feature. Limescale deposits can be rubbed off easily thanks to QuickClean. In addition, the overhead shower can be dismantled in just a few simple steps and is easy to clean (see image gallery). Thanks to the button: you can use these outstanding products to demonstrate your expertise during sales discussions. In a study on showering – at the company's in-house spray laboratory – Hansgrohe discovered that there are individual shower types. The various requirements were converted into jet types. 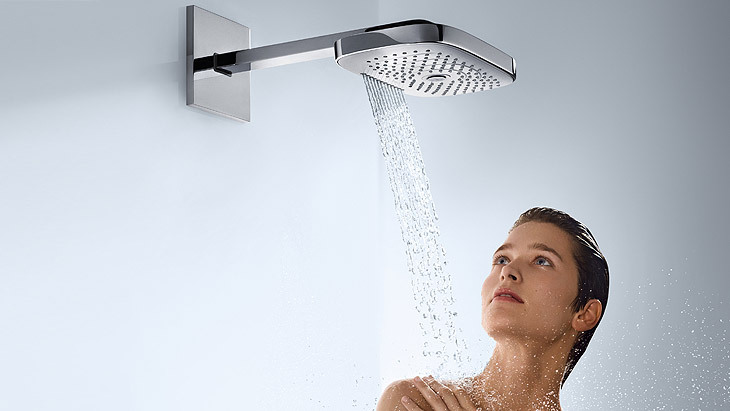 From now on, you can use this knowledge to recommend the ideal shower products to each of your customers. What kind of showerer is your customer?